The Greatest Red Sox Ever? It has become a hot topic in Red Sox Nation, especially with the unbelievable start that David Ortiz has had in his final season. 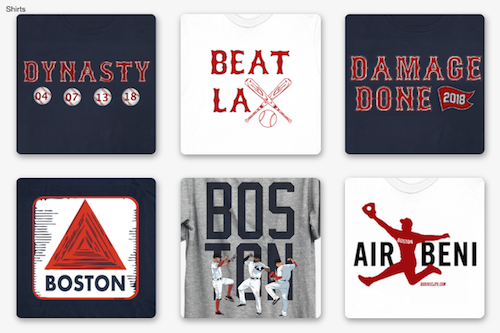 It has dominated not only newspaper headlines, but also sports talk radio in Boston. Who is the greatest Red Sox player of all time? It is a tale of two different eras. A battle between arguably the greatest hitter of all time, versus the greatest clutch hitter of all time. The battle of great nicknames. Teddy Ballgame vs. Big Papi. 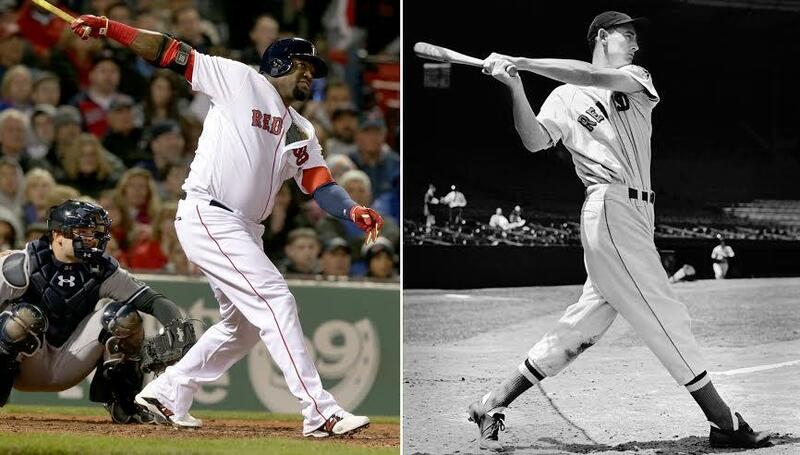 Is Ted Williams or David Ortiz the greatest player in Red Sox history? For many of us, we never saw Ted Williams play baseball live, as his last year was in 1960. Where all have seen David Ortiz play baseball live and vividly remember all the heroics that he has had. But we all have heard the stories, the red seat is still in Section 42, Row 37, Seat 21. And we all know the home runs and clutch hits that Ortiz has accumulated throughout his 14 year career in Boston. 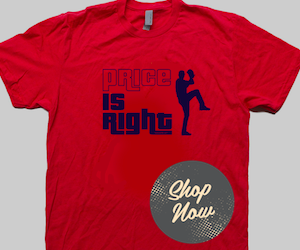 But lets get down to the facts, who is the greatest player in Red Sox history? Let's start with Williams. He is arguably the greatest hitter in the history of baseball. He is the last player to hit .400, hitting .406 in 1941. In a 19 year career he collected 2654 hits, hit 521 home runs, and drove in 1983 runs. He has the highest On Base Percentage in the history of the game, .482. He is arguably the best Left Fielder in Fenway Park history, playing the Green Monster for 18 years. In 1966, Williams was elected into the Baseball Hall of Fame with 93.4% of the vote on his first ballot. Take all of these stats and then remember that he he didn't play three years because he served in the Marine Corps during World War II. Now lets examine Ortiz. Ortiz is the greatest clutch hitter in the history of baseball. He has a flair for the dramatic, and he was a major factor in the Red Sox three World Series Championships. He has meant more to the city of Boston than any other player in the history of Boston sports. On the diamond, Ortiz has been a consistent threat to opposing pitchers. In 14 years as a member of the Red Sox, Ortiz has hit for an average of .289, with 454 home runs and 1432 runs batted in. He has over 500 home runs in his career, and 166th all time in On Base Percentage with .378. Ortiz will be inducted into the Baseball Hall of Fame after he retires. With all the information above, it really isn't that hard to pick a winner. While Ortiz has done more for the city of Boston, Ted Williams is the greatest player in Red Sox history. Not only is Williams the greatest player in Red Sox history, he is in the top 5 players in baseball history. While Ortiz has delivered incredible memories to this generation, Ted Williams will forever be the greatest player in Red Sox history. Agree, disagree? Leave your opinion in the comments below or tweet me by clicking here.